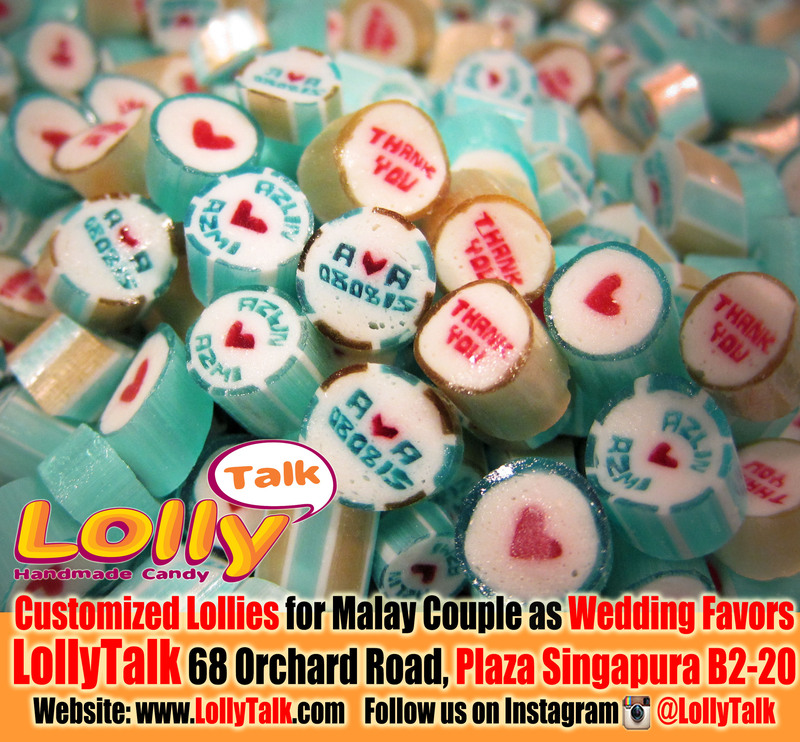 LollyTalk’s customized lolly mix as Wedding favours for a Malay couple. We provide customization for special occasions such as wedding, birthday, baby showers, as well as various corporate events, seminars, roadshows and various company functions. LollyTalk also offers a wide range of readily made lollies with gifting messages. You can easily buy them off the shelf or creatively mix them into your personalized lollies to create an interesting mixture with various colour combination and a feast of different flavours…. Ideal door gifts for various corporate events, roadshow giveaways, wedding favours, baby shower door gifts and birthday parties! Posted in Customized Candy + readily madeTagged candies, favors, handcrafted candy, handmade candy, lollies, LollyTalk, malay wedding, rock candy, sweets, wedding, wedding favorsBookmark the permalink.